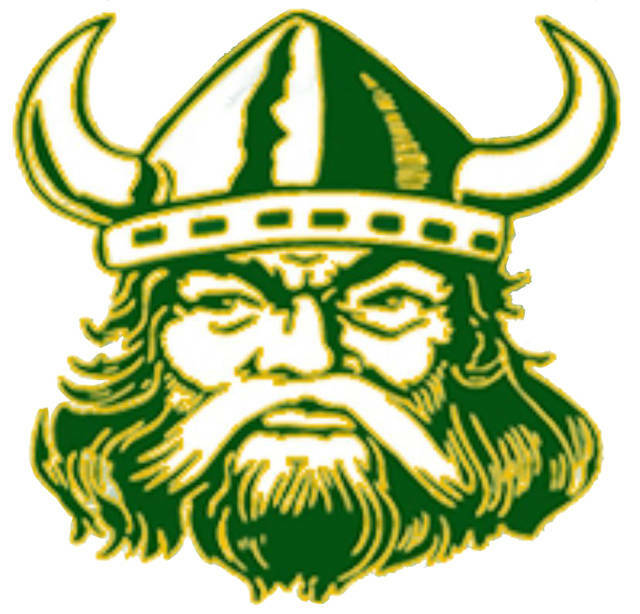 OTTAWA HILLS – Everything the Evergreen Vikings didn’t do in the first quarter, they did right in the second half, rallying from a six point third quarter deficit to score a 64-58 road win over Ottawa Hills in their season opener Monday. The Vikings fell behind 17-11 after the first as the Green Bears shot 7 of 12 from the floor and took advantage of four Evergreen turnovers. Cummings, the Bears big 6’6” post player, did most of the damage with five opening quarter field goals inside. That lead remained at six when Cummings scored again with 5:09 left in the half to give Ottawa Hills a 19-13 lead. Despite playing with the flu bug, it was at that point when the Vikes’ Chandler Lumbrezer gave his team what the doctor ordered. The senior guard registered a pair of steals, fed Mason Loeffler for a hoop and a three-point play, dumped a pass low to Nate Brighton for a score, then again went to Loeffler for an easy one inside that brought the Vikings from six down to a 21-19 lead. “Chandler was sicker than a dog and just fought through it,” stated Keifer. “With the energy he gave us, especially in the second quarter, I’m not sure if we get it done. Tyson Chappell hit 3 of 4 free throws to regain a Green Bear lead before John Kight scored back-to-back three-point plays off Evergreen miscues to put Ottawa Hills again up six, 28-22, with 22 ticks left in the half. Lumbrezer’s pair at the stripe got Evergreen within four at the break, and Brighton’s basket to open the second half sliced that lead in half at 28-26. But, Cummings answered with back-to-back buckets to again regain a six point lead with 5:54 left in the third. It was Lumbrezer again with a big play as his baseline jumper 17 seconds later ignited a 10-2 Viking run. The rest was all Loeffler. The 6’4” junior hit 3 of 4 from the foul line, a three-point play off a power move to tie the game at 34, then on the next possession scored on a back-and-forth cross through the key. This regained a lead for the Vikings, 36-34, with 2:58 left in the quarter. James Silk’s triple put OH back up, and Cummings’ pair at the line offset two more Loeffler hoops to give the Bears a 41-40 lead heading into the final eight minutes. Silk hit another from long range that doubled the OH lead at 44-42, but Loeffler sunk two from the line and then gave Evergreen the lead for good when Bryce Hudik found him inside for a basket-and-one, making it 47-44 with 4:46 left. Drew Hoffman’s wing jumper made it 47-46 but freshman Nic Borojevich drilled a corner jumper, Hudik hit a one-hander out of the key, and Brighton and Loeffler each scored on a drive to give Evergreen a 55-48 lead with just over two minutes left. Hudik, Borojevich and Loeffler then hit 9 of 10 free throws down the stretch to ice it. For the game Evergreen was 20 for 37 from the floor, including 12 for 17 in the second half, most of which were inside. The Vikings also were 23 for 30 from the line, 16 for 19 in the last 16 minutes. After committing eight turnovers in the first half, Evergreen had just two in the second and none in the fourth quarter. Loeffler’s career high of 34 points led Evergreen. Brighton added 11. Cummings was the only double figure scorer for Ottawa Hills with 32. Evergreen plays back-to-back home games with Swanton and Otsego Friday and Saturday.